It seems like UK is breaking all types of stereotypes and making history every day. 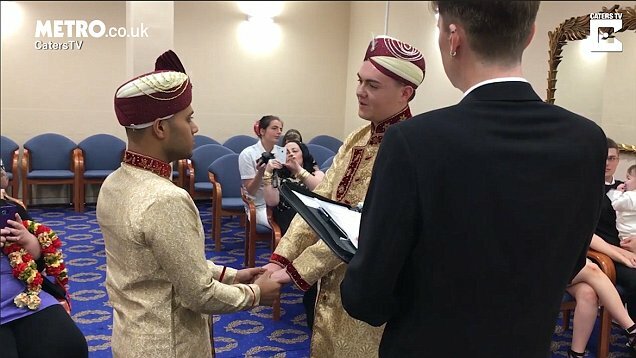 A few days ago, a man became Britain’s first to gave birth to a baby girl and now the first ever gay Muslim wedding has taken place in the UK. 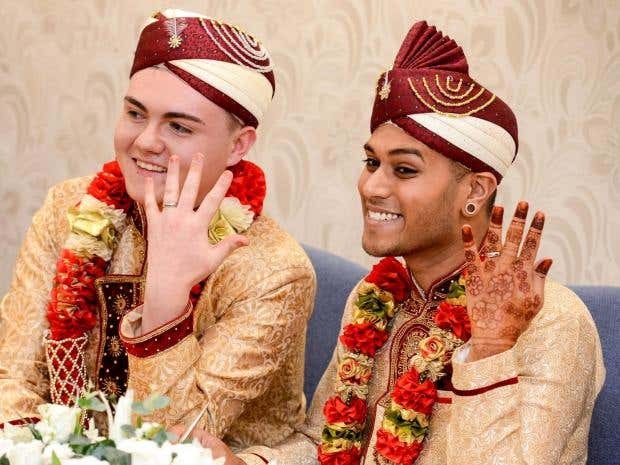 Jahed Choudhury, aged 24 tied the knot with Sean Rogan, 19 in a civil ceremony at Walsall registry office. Their love story is very interesting as the couple first met when Choudhury was crying on a bench. Mosque rejected him after they had found that he is a gay. People insulted him very badly, call him a pig and even empty the rubbish bins on him.